Key Difference: Trees and plants all fall under the same Plantae Kingdom, which is one of the five biggest Kingdoms. Trees and plants have a lot more in common than difference. It can be said that while all trees are plants, not all plants can be trees. When we talk about the differences between a tree and a plant, one phrase comes to mind – ‘what is in a name?’ This is a famous excerpt from Romeo and Juliet, but in this case it is highly applicable to this topic. What is in a name? What is a tree and how is any different from a plant? Well if one studies botany, I’m sure they can come up with a list of scientific structures that differentiate the two; but for us laymen tree is nothing but a type of plant. Trees and plants all fall under the same Plantae Kingdom, which is one of the five biggest Kingdoms that have been established to distinguish between the many living organisms that exist. The Plantae Kindom includes trees, shrubs, grass, herbs, bushes, vines, ferns, mosses, and even green algae. What makes them all common? Well, a few things. First all plants are autotrophic eukaryotes, which means they cannot move from one place to another and they have the ability to create their own food. They also have a different cell structure that includes having rigid cell walls and is made up of cellulose. These features are shared by all of the members of the Plantae Kingdom. 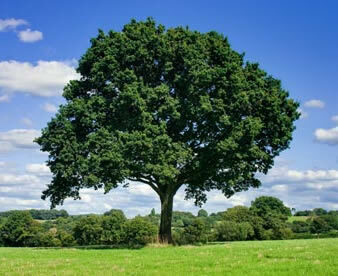 Trees differ from other plants in the Kingdom because of their trunk, which earns them the name of a perennial plant. From the thick stem, more stems rise on which there are leaves. These leaves have the ability to trap energy from their sunlight and produce food using chlorophyll. The roots are well below the main trunk that are thick. Trees can grow for years in a habitable environment and do not die unless conditions prevent them from acquiring food and water. Many trees produce flowers and even fruits such as apples, mangos, banana, etc. Aside from trees, other plants in the Kingdom remain closer to the ground and do not have a main thick trunk made of wood, but rather they have small stems that grow from the roots under the ground, which then have smaller stems on them. These plants’ growth remains under 10 feet, with some such as grasses growing to only 3-4 feet in height. Other plants can also include creepers, which grow horizontally on the ground unless it receives vertical support, in which case it can grow upward until the support permits. These plants also produce various vegetable and fruits such as pumpkin, melons, grapes, etc. In short, trees and plants have a lot more in common than difference. It can be said that while all trees are plants, not all plants can be trees. Has a vascular structure with roots and stems and leaves that and a transporting system for water and food. Trees are known for being a perennial plant, which means it has a thick wood stem from which tiny stems and leaves grow. Has a vascular structure with roots and stems and leaves that and a transporting system for water and food. Aside from trees, plants are known for having multiple soft wood stems and remaining close to the ground to procure food from underneath it. 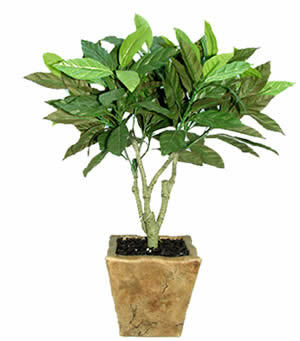 Trees come in various shapes such as columns, pyramid, rounded, etc. Falls under three categories ‘ruderal’, ‘circumventor’ or ‘stress-tolerant’. Ruderal plants create seeds that produce quickly. Circumventor plants and tress produce less seeds and are more tolerant of their surroundings. Stress-tolerant plants thrive even in unfavorable areas with little water and less food. Trees live long lives under favorable conditions. They can survive for over 100 years, with some surviving for even more than 300 years. Aside from trees, some plants live short lives and can be seasonal. However, some plants can last anywhere from 50 to 100 years under favorable conditions.